A graduate of Trinity College Dublin, BA (mod) and LLB, John was admitted to the Roll of Solicitors in November 1974, appointed Commissioner for Oaths in 1980 and appointed Notary Public in 2018. 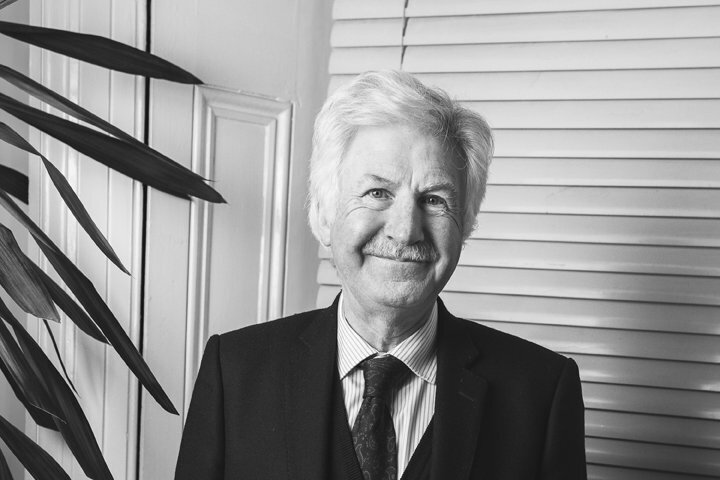 In 1975, John formed part of Sheehan Hussey Gaynor, Solicitors, with Mr Justice Garrett Sheehan, who has since become a member of the Appellate Court. In 1978 John formed his own practice, John Gaynor & Co. Solicitors, and has been practising in the same locality ever since. During this time John has gained a reputation amongst colleagues, clients, and the community as a practical, professional and knowledgeable solicitor highly regarded for his integrity and skill. John specialises in all areas of General Practice Law, with a client base that includes prominent members of the medical profession and the entertainment industry. John was previously acknowledged by his peers with the Dublin Bar Association Award for Excellence in 2006. John also volunteers his time with the “Consult a Colleague Helpline”, assisting colleagues with whatever issues they may be facing.